Family was always of paramount importance to my father. Everything he did within his creative world, he involved family. I grew up on the road, we traveled from city to city together, working together as a musical family. My sister, Rosanne, was part of that musical family at different times. 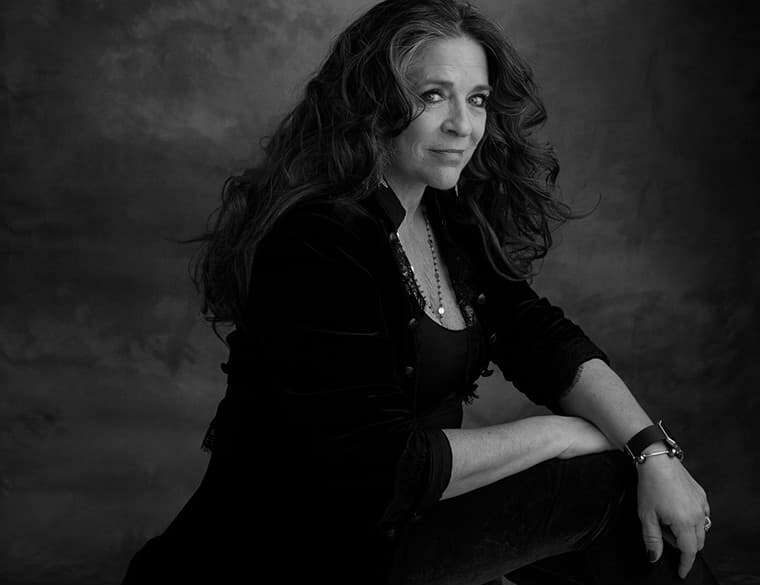 My sister, Carlene Carter, was also part of that musical family. Having Carlene on this album, to me, was very important. My mother and father taught me growing up that I had no half siblings, that all of my sisters were full, and that no one was different. I’m very grateful that Carlene and Rosanne are both part of this project. She wanted to look at words by my father that connected to our mother. 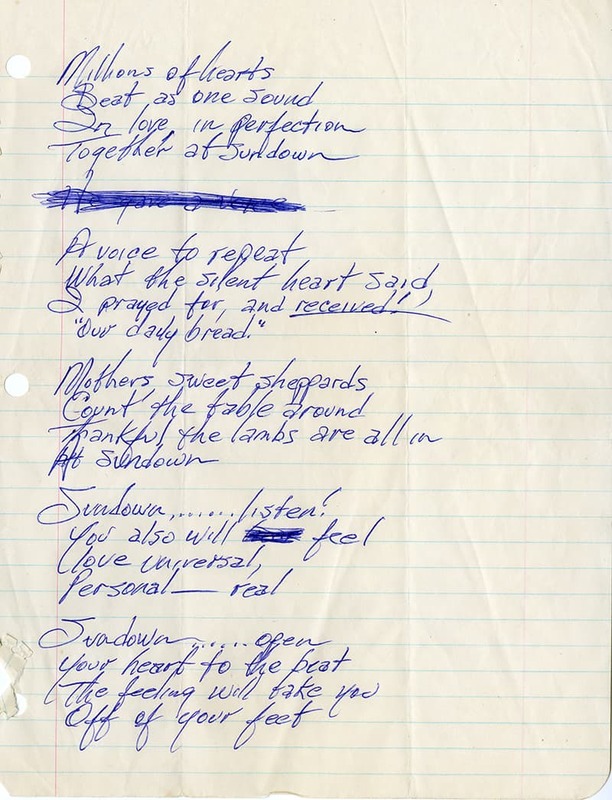 I dated these writings in various ways, sometimes my father noted the date on the page, sometimes, he did not. I have studied his handwriting, and it changed all through his life, varying slightly from era to era. 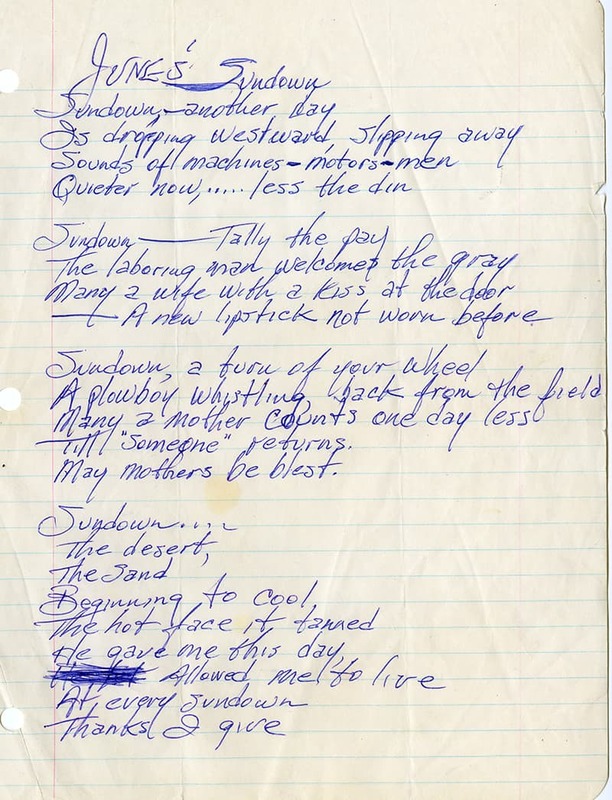 Judging by my father’s handwriting on the paper, I feel “June’s Sundown” was written in the middle 1960’s, when he and my mother were working partners and friends. Carlene’s artistry is always energetic and exciting and she went in a brave direction that was different for her, yet still an honest place. She connected directly to my father’s words, writing the song on the piano. The result was most certainly a beautiful experience musically for her and for me, and I believe will be for the listener, likewise.